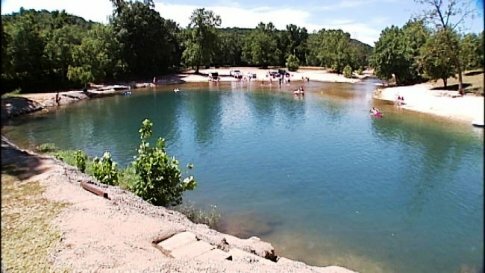 Blue Hole Park in Salina is a popular spot for swimming, catching crawfish and camping. Just because the temperature has gone up doesn’t mean your vacation budget has to rise as well. 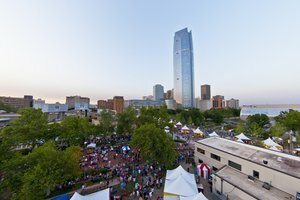 Plan your next affordable Oklahoma vacation with ease thanks to these hot summer travel ideas that won’t break the bank. Treat the whole family to a dip in cool waters at one of Oklahoma’s natural swimming holes. For just $10 per carload, Blue Hole Park in Salina is a popular summertime destination for its clear, cool waters. Or, head over to Gage Artesian Beach to swim in mineral-laden waters for just $2 per person. You can also experience flowing springs for free at the Chickasaw National Recreation Area in Sulphur or the public access areas along the Illinois River in Tahlequah. Slide in to summer savings at one of Oklahoma’s nine state park pools. Remember that the pools are open seasonally, so please call ahead to check hours and availability. Boiling Springs State Park in Woodward: $4 per person. Honey Creek Area at Grand Lake State Park in Grove: Free for paid park guests. Lake Murray State Park in Ardmore: Free for lodge and cabin guests. Osage Hills State Park in Pawhuska: Guests 12 & older: $4; Guests under 12: $3. Robbers Cave State Park in Wilburton: $5 per person. Children 3 and under are free. Sequoyah State Park in Hulbert: Free to lodge and cabin guests. Tenkiller State Park in Vian: $6 for non-guests; $4 for campers and $3 for cabin guests. 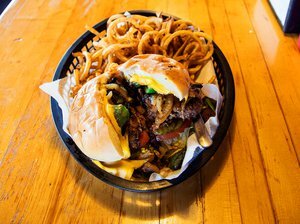 Pack your snacks and start making memories at one of Oklahoma’s nostalgic drive-in movie theaters. For just $7, adults can catch a flick or two at the Admiral Twin Drive-In in Tulsa, Beacon Drive-In Theater in Guthrie, Chief Drive-In Theatre in Ninnekah, Tower Drive-In Movie Theater in Poteau or Winchester Drive-In in Oklahoma City. Admission to the El-Co Drive-In Theatre in Shattuck is even cheaper at $6 for adults and tickets at the Corral Drive-In Theater in Guymon are an extremely affordable $5. Be sure to ask about discounted admission for children, and bring cash because it is the only form of currency accepted at many of thee theaters. 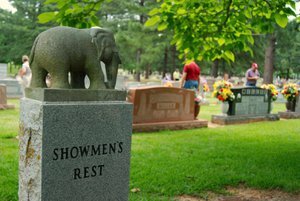 Oklahoma’s roadside oddities are sprinkled all across the state from big city attractions like Tulsa’s Golden Driller and Oklahoma City’s Milk Bottle Grocery to the Creek County Frog Rock in Mannford and the Spider VW Bug in Lexington. Whether you’re looking for the world’s highest hill or the world’s largest peanut, you’ll find it in the Sooner State. 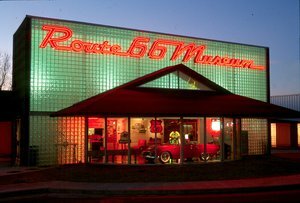 Grab some friends, hop in the car and discover over 50 quirky roadside attractions across the state. Braum’s Family Farm: Cool off with a sweet treat and free factory tour from Braum’s Family Farm in Tuttle. Visitors will get a behind-the-scenes peek at how Braum’s delicious ice cream is made with a guided tour Monday through Friday with advance reservations. Baseball: Celebrate America’s favorite pastime and catch a Tulsa Drillers baseball game. For just $6 per person, you can spread out a blanket on the lawn and cheer on the home team. Art Walks: Scope out an art walk near you to enjoy free gallery showings, live music and wine tastings. Monthly art walks are held in Enid, Norman and Oklahoma City. Food Festivals: Enjoy the bounty of the season with one of Oklahoma’s delicious food festivals. Kick off your food festival frenzy at the Fort Gibson Sweet Corn Festival in June, then in July visit the Valliant Watermelon Festival, Porter Peach Festival, Stratford Peach Festival, McLoud Blackberry Festival and the Jay Huckleberry Festival. August rounds out the food festivals with the Rush Springs Watermelon Festival. Each festival is free to attend, and many also offer free tastings. County Fairs: Oklahoma’s county fairs start as early as July and run well into the fall season. With free admission, you’ll be able to spend hours browsing through local competitions and enjoying live music. Plus, for just a couple bucks, you can also enjoy midway rides and hot kettle corn. Summertime is a great time to explore an Oklahoma state park. With a variety of cabins, cottages and lake huts for under $85 per night, these budget-friendly getaways can’t be beat. Visit during the summer and return in the winter for even lower rates. All rates shown are for 2019 and are the same on weekdays or weekends. Check with the individual state park for room taxes. 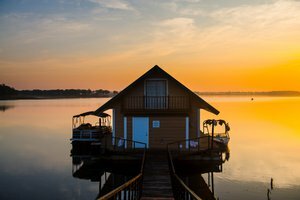 Book a stay in one of the eight lake huts at McGee Creek State Park in southeast Oklahoma for just $50. Each hut comes with bunk beds, a fireplace, air conditioning and a screened-in back porch that overlooks the lake. Pets are also welcome for a small fee. Lake Murray State Park in Ardmore offers 11 newly renovated country cottages for two for just $85 per night. All cabins are pet friendly and have cable TV, kitchenettes, picnic tables and grills. Enjoy a one bedroom park view cabin at Lake Wister State Park for just $75 per night. Each cabin comes with either two twin-sized beds or one queen bed, although linens are not supplied. Seven of the 10 cabins have a bathroom, and there is a comfort station located within walking distance for hot showers and restroom facilities. All the cabins are non-smoking, and pets are allowed in select cabins for a small fee. Plan a trip to Clayton Lake State Park for a comfortable stay in a one-bedroom cabin. Each cabin is $75 per night and welcomes pets for no additional fee. Each cabin offers two twin-sized beds, heat/AC and a fireplace. There are two affordable cabin options at Hugo Lake State Park. The first is a one-bedroom cabin with two twin-sized beds and a bathroom for $75 per night. There are also four primitive cabins with queen-sized beds and no bathroom for only $55 a night. All of Hugo Lake State Park’s cabins come with heat/AC and a cozy fireplace. At Raymond Gary State Park in Fort Towson, visitors will find six lakefront cabins, each with two twin-sized beds, for $85 per night. Each cabin has a bathroom, microwave, microwave, heat/AC, table and a fireplace, and three of the cabins also have a screened-in porch.